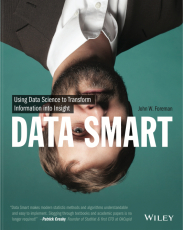 Most people are approaching data science all wrong. Here's how to do it right. Not to disillusion you, but data scientists are not mystical practitioners of magical arts. Data science is something you can do. Really. This book shows you the significant data science techniques, how they work, how to use them, and how they benefit your business, large or small. It's not about coding or database technologies. It's about turning raw data into insight you can act upon, and doing it as quickly and painlessly as possible. Roll up your sleeves and let's get going.